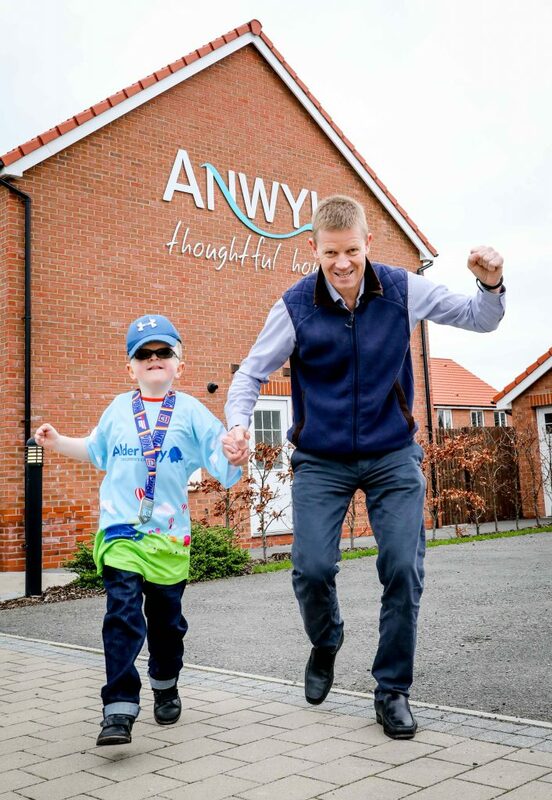 Award-winning Flintshire-based housebuilder Anwyl Homes has raised almost £5,000 for two children’s charities. Swapping their site boots for trainers, a group of employees from Anwyl took part in the Chester 10K in aid of Alder Hey Children’s Hospital and Ty Gobaith/Hope House Children’s Hospice. So far, raising £4,912.50, with donations continuing to come in. 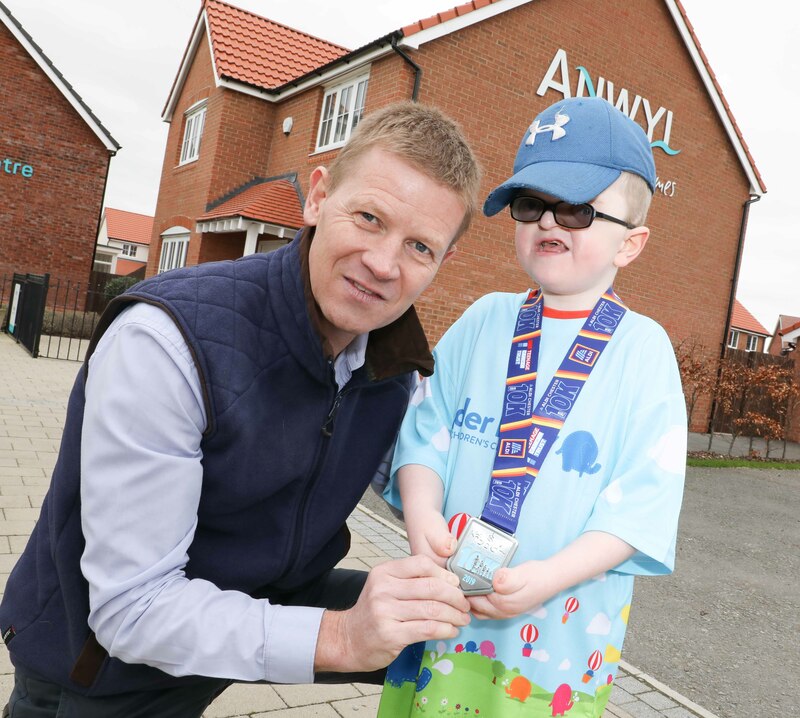 Alder Hey is closely connected to the housebuilder as Logan McDermott, the six year old son of Kathryn McDermott who works for Anwyl Homes in the customer care team, was born with Apert Syndrome, a rare condition that affects 1 in 200,000 births. In addition to raising funds for Alder Hey, Anwyl Homes continues its long-standing support of the local children’s hospice Hope House and Ty Gobiath. This year the money raised from the run is in memory of Chloe Farrell, who lost her life suddenly in a tragic accident aged 22. Chloe was closely involved with the charity and her family were supported by Ty Gobiath at the time of the tragedy. Mathew Anwyl, who also took part in the race, comments: “Alder Hey is a pioneering children’s hospital so we are delighted to have raised some much-needed money for them. For many years we have raised money for Hope House and will continue to do so, supporting the excellent work they do with local families. Elinor Freestone, Corporate Account Manager for Alder Hey Children’s Charity, said: Alder Hey Children’s Hospital cares for over 275,000 children, young people and their families every year, treating everything from common illnesses to highly complex and specialist conditions. We would like to say a huge thank you to all the staff that have taken part and raised money for us. Eluned M Yaxley, from Hope House & Tŷ Gobaith, comments: “We are so grateful to Anwyl Homes for their generous donation and want to thank the individuals who took part in the Chester 10K for giving up so much of their time to train and compete in the event itself.